With the help of our superb team of experienced specialists in 40 art and collectible fields, we are pleased to offer our clients formal appraisals. Our Appraisal Services Department will work with you to determine the proper form of appraisal and endeavor to meet any special requirements set by the client, whether that be an individual, executor, or any other professional advisor. Our appraisals meet all required IRS, legal, and USPAP conditions to function as qualified valuations of tangible property. Heritage is uniquely equipped to appraise collections encompassing a diverse selection of material. While generalists make educated guesses, our specialists have decades of experience in their respective fields, which in turn enables Heritage as a whole to provide the best appraisals across a tremendous range of subject matters. Our meticulously detailed reports will not only meet, but exceed your expectations. All appraisals will require an Appraisal Agreement to be signed by the client prior to any work beginning on the appraisal. Please click here to view a sample Appraisal Agreement . Our competitive fees are based on an hourly or daily rate per specialist plus any applicable travel and out-of-pocket expenses. Contact our Appraisal Services specialists for specific terms and fees associated with the appraisal of your property. All estimated fees will be provided and agreed upon before commencing any appraisal work. Fees will be invoiced and payable upon delivery of the final appraisal report. Should you later choose to sell property listed in a Heritage appraisal through auction or private sale, the appraisal fee is rebated against the Seller's Commission in full or prorated based on the value of the property consigned for sale. Most appraisals of fewer than 20 items will take a maximum of 4 weeks to deliver to the client once the property has been seen in person by a Heritage specialist in order to verify the actual condition and existence. For larger appraisals, an anticipated timeline for completion will be provided with the appraisal proposal letter. 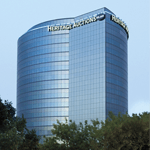 Upon request, Heritage experts will also prepare a complimentary auction proposal for eligible items listed within the Heritage appraisal to help prepare you for your next steps. Corporate and Museum Collections require regularly updated appraisals for insurance, loans, or asset evaluations. Heritage offers discounted yearly contracts for verbal or written appraisals, as well as complete collection cataloging and valuations. Please contact our Appraisal Services specialists to discuss how Heritage may be of assistance. Please also consult our Museum & Institutional Services and Corporate Art Services departments for further details on our services.